Summer definitely calls for something fresh, bright and fizzy. These agua frescas will be your barbecue or summer dinner party go-to this season. In this refreshing cocktail, Prosecco adds a lively spritz to a light, watermelon-forward margarita. If you happen to have a juicer on hand, you can certainly use it here. The perfect drink for summer. In Mexico, agua fresca is made with fresh fruit juice, sugar, water, ice and sometimes tequila. Here, six fantastic versions to make for brunch. 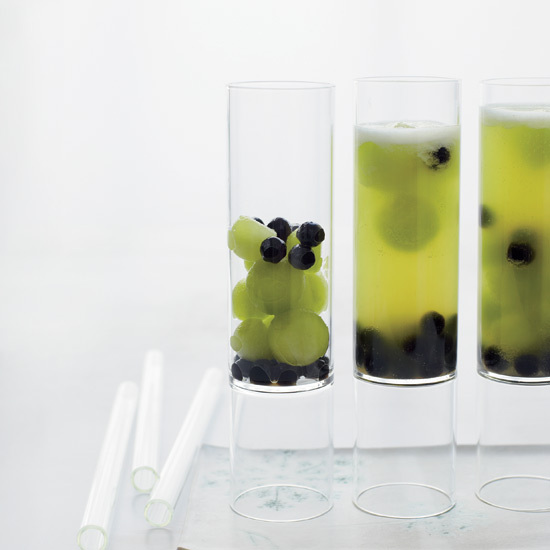 This terrific white-rum-based drink features mango, passion fruit and kiwi puree. Pastry chef Sherry Yard's fantastic recipe calls for honey, ginger and fresh lemon juice. It's also great with a shot of rum or vodka. This delicious dark rum and watermelon drink has the consistency of a frozen margarita. Cantaloupe balls garnish this summery agua fresca. Fresh ginger, mint and chilled sparkling water make this the ultimate virgin agua fresca.